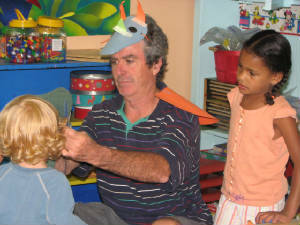 The Children’s Center promotes each child’s individuality and believes that each child is special and unique. Children deserve respect, attention and quality experiences. Our early education program provides each child with the opportunity to grow and learn in a safe, loving and encouraging environment. We serve as a support system to the families in our community as they strive to raise well-rounded, happy children. Our philosophy is that children’s success now, or in the future, depends on the successful collaboration of teachers and parents who value social, emotional, intellectual and physical child development. We strive to make this possible for as many children as we can on a daily basis.